Since 2004 our talented techs have told us and shown us what loose battery connections can do. Check it out in this photo. I carry a 10 mm wrench with me to check battery connections on long rides. I must have forgotten to check them on one ride and the positive terminal melted. Luckily it did not cause a fire or any other damage. That would have been a real pain in the wallet. 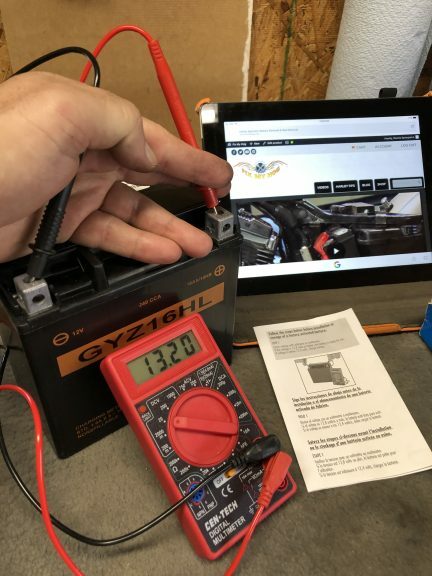 The HD battery was from 2013 and kept on a trickle charger when parked. It had a 6 year run and might have kept going if I had the positive cable tight. Not bad when average battery life is much less. 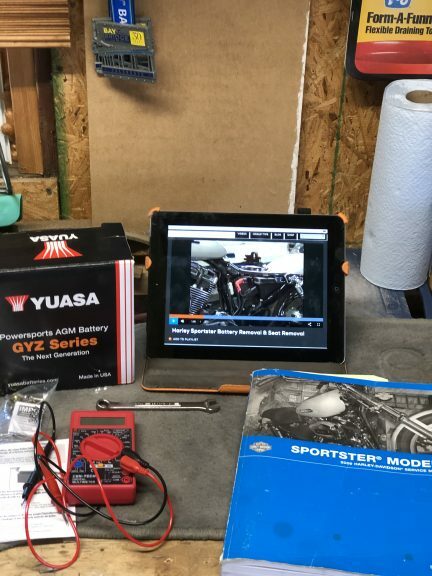 When we were in Las Vegas at AimExpo, we stopped by and saw the folks at YUASA to chat about their batteries. 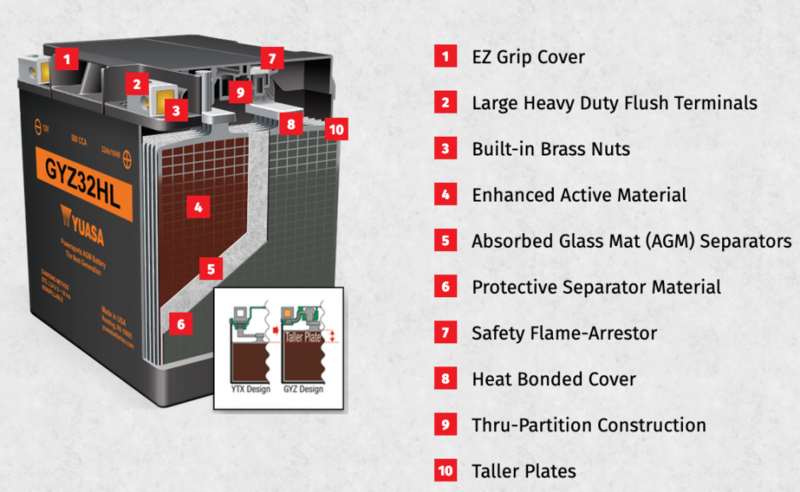 We reviewed the benefits of AGM batteries and the quality that YUASA has been known for since 1979. So after my meltdown, I decided to put one to the test. 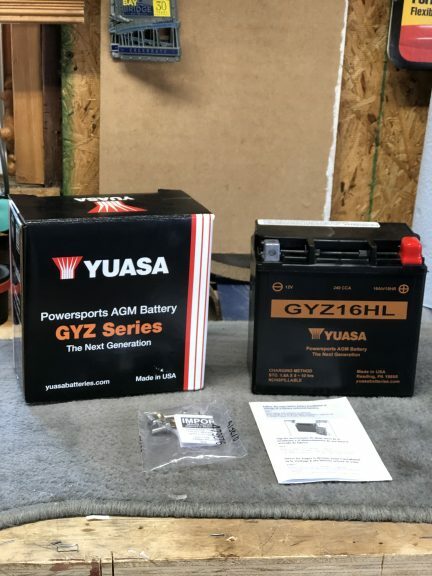 I reached out and they were nice enough to send me their AGM GYZ Series battery to replace the OEM battery. 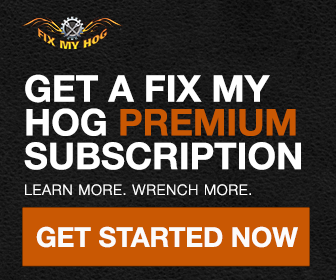 We have several battery removal videos here on Fix My Hog and I will list them at the end of this article. I gathered some tools, my iPad logged into FMH, my service manual, dielectric grease and my patience. 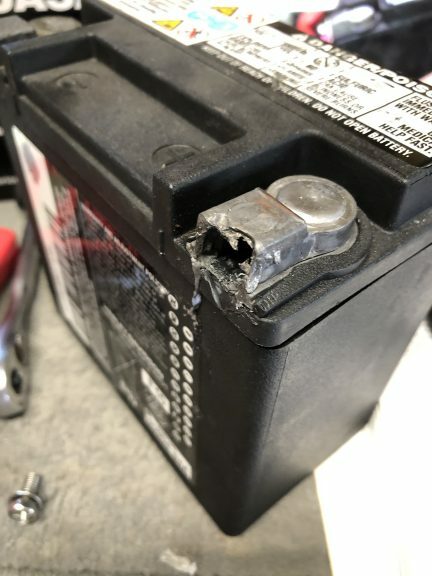 This 2009 Sportster XL 1200 C negative connection to the battery is tough to get at on the battery while in the tray. On the video for XL battery removal our seasoned pro, Bob LaRosa, has the skill set and experience to remove and replace the negative via the battery. I recommend you do as I did if you ride an XL, remove the negative from the stud on the crankcase. First off and last on and make sure the rubber boot is on the starter cable nut to avoid making ground and sparks. I removed the negative and positive cables and noted any additional connectors going to the posts. For me, it was the battery trickle charger wires and the power for the Cobra Fi 2000 PowrPro Tuner. Follow your service manual and the simple instruction sheet from YUASA. They ask that you check and make sure the battery is fully charged. I gave a quick cleaning to the battery box and inspection of the cables for wear. 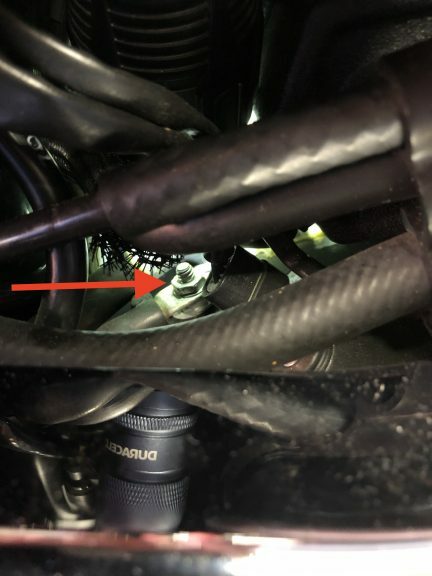 I installed the negative cable to the battery(with charger – wire) and taped the end that feeds down to the crankcase nut. I slid the YUASA battery into place. I connected the positive cable(with + charger wire and tuner power) and hooked the strap back in place. 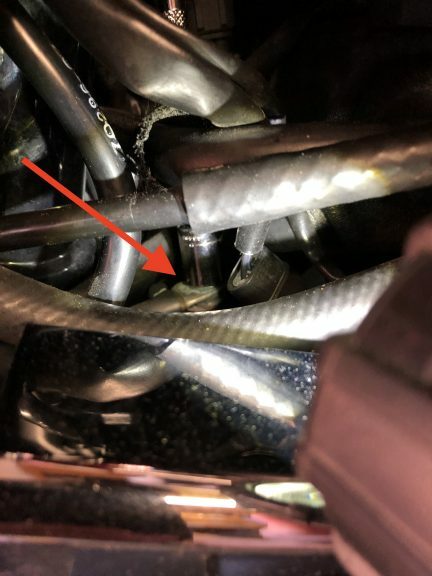 I removed the tape and installed the negative cable to the crankcase stud. My wobble extension was key to remove and replace this nut. I double checked my work, added a couple tie wraps to hold the trickle charge wires in place, replaced the side cover and did a safety check to make sure everything was functioning correctly. Once all safety checks were done, I fired up the XL with ease. It’s an easy DIY project to replace the OEM with YUASA’s GYZ Series AGM battery. With YUASA’s brass nuts, I’m sure my cables will stay on tight. More about YUASA’s GYZ Series. Very good info. I am not a newbie Hog owner. Just a newbie at upkeep on ’em. Where do u get the ground, starter etc.. to replace on 86flhtc with 200000 m.
When we are looking for replacement parts that are obsolete through HD, we look to Drag Specialties 1st. V-Twin is also good for many things; but unfortunately, some of the parts they sell are Chinese garbage. As far as your starter; you may want to consider having it professionally rebuilt by a shop or business that rebuilds electric motors. This way you retain the quality of your OEM starter.